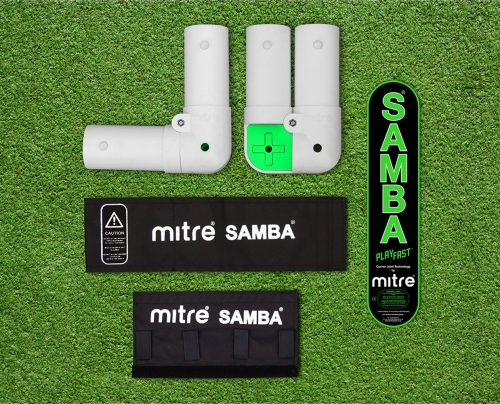 NEW Samba PlayFast folding corners. The new PlayFast goal features an innovative fast folding corner joint by Mitre that enables the PlayFast goal to be assembled in less than 60 seconds. KIT IS FOR ONE GOAL ONLY.